Despite a strong belief in the “Death of the Artist,” the analytical lens for interpreting art without taking into account the thoughts of the author about their own work, anyone who thinks about art enough will still crave to know the personalities behind the work. And for an artist as famously enigmatic as H.R. Giger, a revelatory documentary is tempting proposition even for those who just know his work through Ridley Scott’s Alien. Thankfully, Belinda Sallin’s documentary takes a reserved approach, allowing the audience to get to know Giger more from those closest to him, rather than just attempting to interview the man himself. 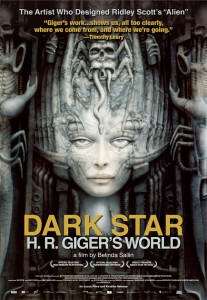 Filmed towards the end of the prolific artist’s life, Dark Star mostly consists of interviews with Carmen Vega, his widow, Sandra Berretta, his former assistant, and “life partner,” his current dark metal musician turned assistant, and others, as well as candid moments around Giger’s home and current events in his life. While on the surface Giger’s art would seem easy to analyze or diagnose, there is a depth to it that definitely captures the imagination. Giger himself is an interesting figure within the documentary. While his health was ailing, he was definitely a man of few words. There are some very candid moments where despite the lack of what he says, his face says it all, especially when talking about past relationships. Otherwise, he is almost a background figure in the film, always around, but not the focus of the camera. Giger’s reluctance to talk in detail about what inspired specific pieces of his work doesn’t just include the public, but even those who best knew the man himself only have their own ideas to draw from. While some may find their speculation about some of his art to be unimportant, Sallin realizes that each person’s interpretation of this genius’ work tells us everything about the people that dedicated their lives to him and so much about how they see Giger himself. 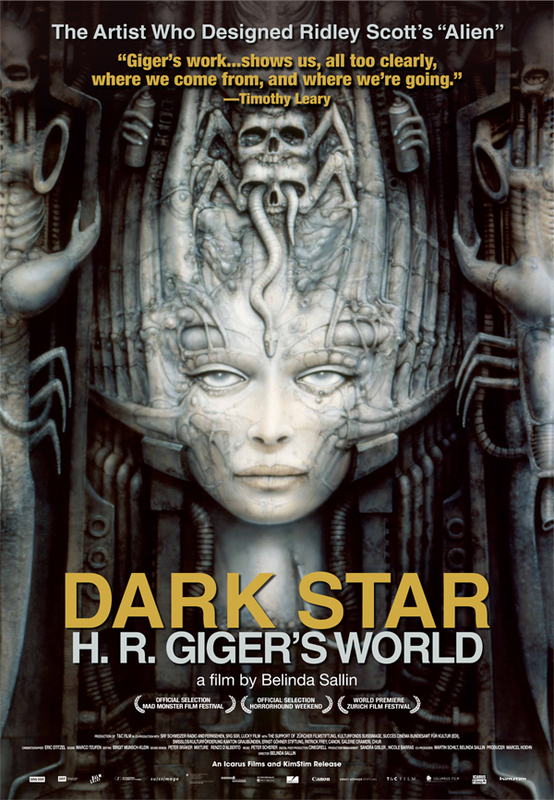 Dark Star: H.R. Giger’s World is a thoughtful documentary that may seem deceptively simple at first. A fitting tribute to the art of H.R. Giger. Dark Star: H.R. Giger’s World opens in Philly area theaters today.